Show is fully charted. Charts will be provided weeks in advance. 4 -5 songs. Industry Showcase - 20-minute performance slot. Must be able to play exactly as written. Must be comfortable player our two-keyboard stack (2 Yamaha MX-61). All patches are pre-set. 16 birthday party. Loves classical and rock and jazz. Yes, I will send them to her when contacted. I need a honky tonk part for a song and a melodic part for the 2nd song. Keyboard players are a perfect choice for events of all types from corporate and community events, to birthday parties and weddings. They can provide a variety of sounds and styles of music. Electronic keyboards can synthesize unique sounds and multiple instruments, making it a great substitute for a full sized band. Keyboard players can provide a similar service as a piano player, but offer the convenience of portability that you can't get with a baby grand or upright piano. 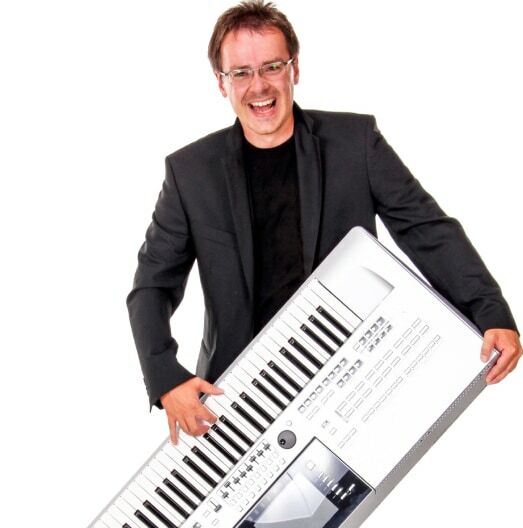 Search for Keyboard Players in Indianapolis, Indiana above. Please note that these Keyboard Players may also travel to Beech Grove, Bentonville, Southport, Speedway, New Palestine, Clermont, West Newton, McCordsville, Camby, Whiteland, Zionsville, Fairland, Avon, Brownsburg, Greenfield, Finly, Boggstown, Fortville, Mooresville, Fountaintown, Maxwell, Westfield, Bargersville, Pittsboro, Whitestown, Brooklyn, Ingalls, Pendleton, and Lebanon.